If this year has taught us one thing, it’s that smashed avo with feta and triple soy mochas are causing deep, deep financial hardships for brunch lovers across Australia. 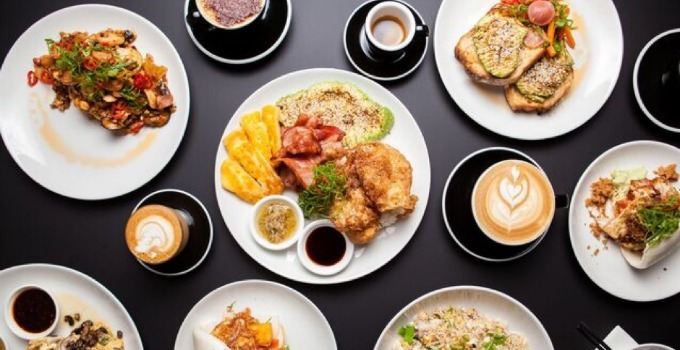 And while we’re not here to help cut your food spend (obvs), we reckon it’s a-bao-t time to leave basic brekkies in 2017 and move away (like, 7000km away) to Brissie’s latest trend: Asian inspired brunches. From sticky coconut banana waffles to bao benedict with roast pork belly, your weekend prayers have been answered with endless trays and bowls of Asian goodness. This West End gem is the product of pure perfection where traditional brunch food meets Asian street eats. They’ve introduced a menu to suit all tastes, from eggs benny bao and brown rice poke don, to the mighty Godzilla complete with lemongrass pork patties, corn cakes, egg fried rice and mushroom yakitori. Pair it with a Vietnamese iced coffee and a morning cocktail. What are you waiting for? Chop chop. You’ll be one happy boy (or girl) to know that one of the best Chinese restaurants in the Valley has just launched a new breakfast menu, available Tuesday – Sunday. The purposeful inauthenticity is what makes it beautiful, with dishes like avocado showered in Sichuan seasoning, sago pudding with toasted coconut, and a special morning fried rice packed with more bacon, egg and halloumi than you can poke a chop stick it. Oh my, would you take a look at this place? A bahn-dle of breakfast options for those who want to stick with the familiar, traditional Vietnamese lovers, and even a wide range of vego option. The bo kho on baguette is a crowd favourite. Get in quick, breakfast only served until 11:30am. If you are less of a morning person, it’s time to head south, with Southside Bistro serving their fusion of flavours until 3pm daily. And it’s the place to go if you’re after something a little different than your average ramen or dim sum – our personal fave is the breakfast puffle – waffles with pork floss, tea eggs, homemade pickles and deep-friend Chinese donut sticks. Delish! At first glance, the Corner Store is just your average… corner store. However, when you feast your eyes (and soon mouth) on the daily breakfast menu, you’ll be drooling like udon even know. Pay close attention to the full breakfast doused in green curry sauce and the nasi goreng feat. Moreton bay bug and fried rice. Soy you there! Get ready to chow down on some sweet, sweet brekkie plates. We’re talking coconut crumpets, kimchi noodle pancakes and sticky coconut banana maple waffles. This place definitely has the chow-factor. You want authentic yum cha? You’ve landed in the right place. Landmark is one of Brisbane’s most renowned yum cha restaurants. You may be waiting a little, but stick around, because when you get your hands on the pork buns and crispy skinned duck, you’ll be sent to food heaven – pho real. Nasi goreng? Say no more. With an abundance of options from Kasundi eggs with lentil daal to a Thai-inspired pork belly salad, the star of the menu has got to be nasi goreng with a touch of cashew nut crumble – absolutely to dine for. We’re calling it: Asian inspired brekkie is the new avo toast. - the gourmand who knows breakfast is okay any time of day. There is no doubting we are a great nation of sunshine, avocados and breakfast!